Shadowhunters: The Mortal Instruments is an American 60 minute scripted supernatural television series, which kicked off on January 12, 2016, on FreeForm and is broadcast every Thursday at 20:00. The show is currently in its 3th season. FreeForm is yet to announce the renewal of Shadowhunters: The Mortal Instruments for Season 4 as well as its cancelation. Sign up to track down the show's status and its release date. 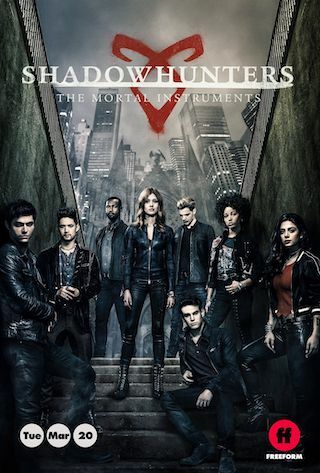 Based on the bestselling young adult fantasy book series The Mortal Instruments by Cassandra Clare, Shadowhunters follows 18-year-old Clary Fray, who finds out on her birthday that she is not who she thinks she is but rather comes from a long line of Shadowhunters - human-angel hybrids who hunt down demons. When her mother, Jocelyn, is kidnapped, Clary is thrown into the world of demon hunting with mysterious Shadowhunter Jace and her best friend, Simon. Now living among faeries, warlocks, vampires and werewolves, Clary begins a journey of self-discovery as she learns more about her past and what her future may hold. Alec, Jace and Isabelle make a plan to finally get Clary back and stop Jonathan—much to Luke's and Simon's chagrin. Meanwhile, an emotionally raw Magnus struggles to deal with his father's reappearance and Maia must make a tough decision that could affect the rest of her life.